17-year old Irina Connors is in her last year of high school. What had begun as seemingly a dream come true only three years previously has morphed into a daily grind of verbal abuse and bullying. She was offered a place in a special program wherein she is bussed from her poor neighborhood to a school in a wealthy part of Seattle and has qualified for a college scholarship if she can maintain a 3.7 GPA. As she struggles to maintain a perfect grade average she has increasingly become the favored target of malicious and cruel attacks by a clique of wealthy girls and their boyfriends. One day the attacks go too far as her only friend is victimized too and Irina retaliates, setting in motion a chain of events that seem to shatter her life and her dreams. She crosses a threshold that takes her into a world of unbelievable danger, yet one of great promise as well if she proves worthy. Join Irina as she sets out on the journey of a lifetime and beyond, discovering things unimaginable even while struggling with her own role in her new life. 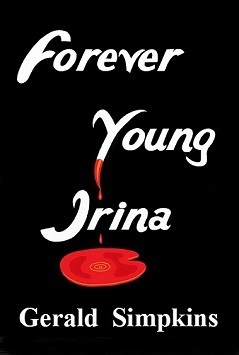 ‘Forever Young Irina‘ will captivate you and draw you in to experience the world of Vampires as you have never before seen it portrayed.